The simplest definition of a flow meter is a device used to measure the rate and amount of fluid or gas flowing through a pipe. 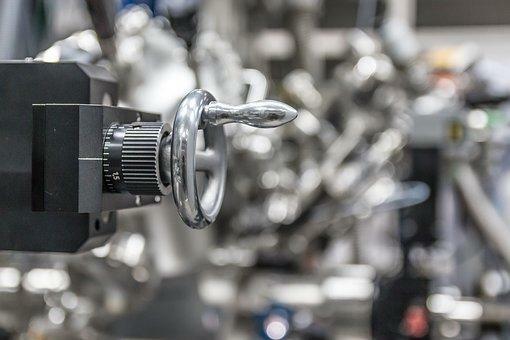 However, the principle of choosing and categorising flow meters is somewhat more complicated. Flow meters vary depending on the intended application, as well as expected accuracy. These being only a few of the defining characteristics of a flow meter, there are many ways in which you can narrow down your choices. Do you need a flow meter for basic use? When it comes to basic necessities such as domestic utility pumps and pipes, using a flow meter may not be necessary. When there is no need to measure the rate of flow and the volume of liquid or gas passing through the pipeline, bypassing the use of flow meters is justified. Nevertheless, if you still want to add a flow meter to a domestic pump, a generic or cheap flow meter will suffice. Type of fluid. Fluids have different viscosity levels. Thicker liquid like oil has a higher thickness than water for example. If the intended application requires flow measurement for both high viscosity and low viscosity liquids, you’ll need two types of flow meters. One easy trick to finding the right flow meter for liquids of different viscosities is to check the Reynold’s number. Specific Reynold’s values correspond to different fluid viscosity, hence, making it easier to choose the right flow meter. Measurement range. The flow meter’s range of measurement refers to the highest and lowest measurement values the device can reliably measure. In choosing a flow meter for your application, the measurement range should be broad enough for the requirements of the application. Measurement accuracy. A lot of factors can affect the accuracy of a device. A flow meter made of low-quality materials may not provide the most accurate measurements. Every application has a specific allowable degree of error; therefore, you should choose a flow meter according to this degree. Flow meter type. Aside from the parameters mentioned above, there is a wide range of flow meter types available. Each specific type of flow meter is suitable for a particular application. Some examples of flow meter types are positive displacement, electromagnetic, thermal, coriolis, paddle wheel, turbine, and oscillatory. Also Checkout What is a wifi sniffer? If you don’t have the expertise in choosing the right type of flow meter for the intended application, it can become overwhelming. To make sure that you are getting the proper flow meter, contact a specialist from a flow meter supplier to guide you through the selection process.